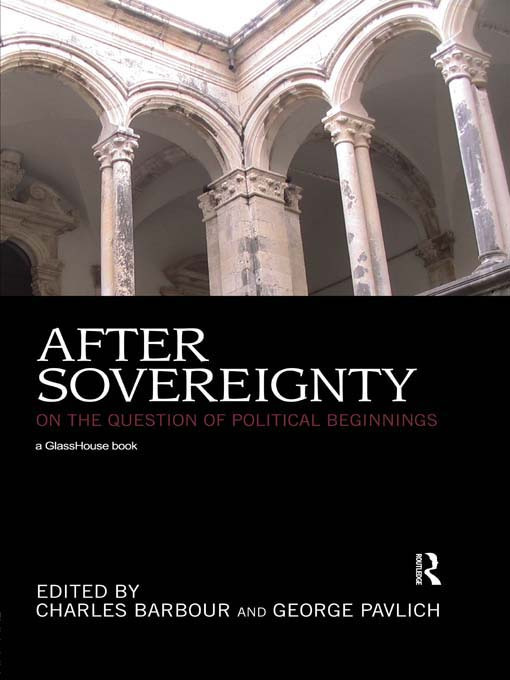 After Sovereignty addresses the vexed question of sovereignty in contemporary social, political, and legal theory. The emergence, and now apparent implosion, of international capital exceeding the borders of known political entities, the continued expansion of a potentially endless 'War on Terror', the often predicted, but still uncertain, establishment of either a new international American Empire or a new era of International Law, the proliferation of social and political struggles among stateless refugees, migrant workers, and partial citizens, the resurgence of religion as a dominant source of political identification among people all over the globe – these developments and others have thrown into crisis the modern concept of sovereignty, and the notions of statehood and citizenship that rest upon it. Drawing on classical sources and more contemporary speculations, and developing a range of arguments concerning the possibility of political beginnings in the current moment, the papers collected in After Sovereignty contribute to a renewed interest in the problem of sovereignty in theoretical and political debate. They also provide a multitude of resources for the urgent, if necessarily fractured and diffuse, effort to reconfigure sovereignty today. Whilst it has regularly been suggested that the sovereignty of the nation-state is in crisis, the exact reasons for, and exact implications of, this crisis have rarely been so intensively examined.